Within everyone is a silent yearning to become more,make a mark and go above and beyond the mediocre. Don Jazzy the head honcho of the Mavin crew represents a new breed of young African change agents who are employing and deploying their natural endowments in creating viable businesses, giving youngsters a platform to express their gifting, profiting from their passions and using their lives to tell inspiring stories.Kehinde leads the reader through an easy to apply, step by step method that can help anyone achieve celebrity status in their chosen field. Kehinde Ajose, respected journalist, publicist, and sought after talent development strategist has released the E-version of the landmark book Donjazzyfied…lessons drawn from Don jazzy on how to move from ‘Best kept secret’ to becoming a ‘Don’ in your field. This brave book is not about Don Jazzy in the end but about an understanding of our struggles with dreams, desire to succeed, guidelines for achievement of dreams, and the answer to that secret doubtful questions we have been battling with over our dreams. What makes Don jazzy a force to reckon with? What branding lessons can be learnt from this showbiz don ? How did he emerge as one of the most influential showbiz personalities on Twitter? These are some of the thought provoking questions answered in this collection of inspiring and instructive bits and pieces on the Don jazzy phenomenon. 1. The lovely cover design, showing Don Jazzy in his boyish appearance clad in a suit , tee shirt and jean was done by Seun Ayeni one of the country’s leading graphic designers. 2. Even though some might have forgotten or might not even know Don Jazzy‘s real name ,the book reveals that, tales of his humble beginnings, amongst other issues. 3. The book is endorsed by Kehinde Bankole a leading Nollywood actress who recently featured in Kunle Afolayan’s wave making flick October 1. 4. 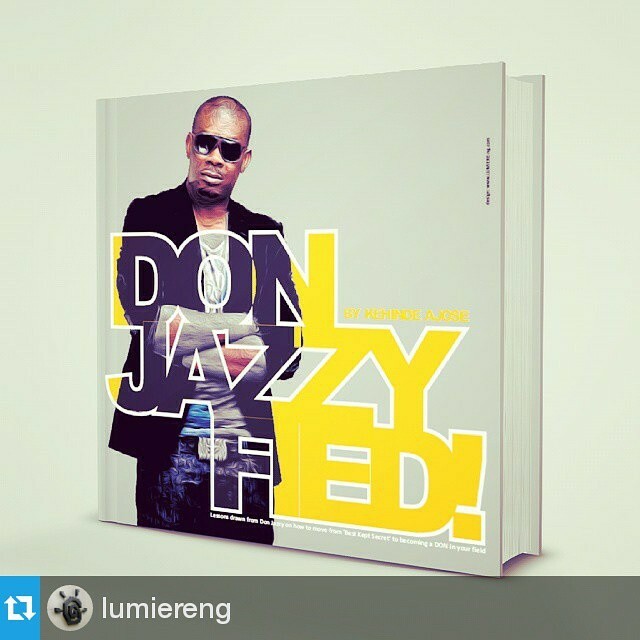 Celebrities Like Emma Nyra, Shine Begho of Cool FM, Annette Cookey, Senator the comedian, Olorisupergal and others said amazing things about Don Jazzy in the book. 5. Twitter is a major tool Don Jazzy deploys in order to build an engaging brand…How he makes it happen is also analyzed in the book. 6. The secret behind the Mavins hit songs and how you can apply it to your craft is also unveiled in this book. 7. How Don jazzy bounced back from the Mohits break and the lessons to adapt can be gleaned from this book. Commiting to buying this book is one of the greatest decision you will take this year.Don;t procrastinate. Don’t let the doubter whisper to you. This has only been released as a digital copy. You can read on any of your mobile devices or computer. To read the .epub version, make sure you download an E-book reader to use on your device.